RunnerDude's Blog: Be Safe. Be SEEN! One of the worst parts of running during the winter months is the darkness. It's dark early morning and nighttime creeps earlier and earlier. Not an excuse to stop running, however. But, you do need to take precautions. First and foremost wear a headlamp powerful enough to project a beam about 20 feet head. My headlamp is 90 lumens and works great. You can go with lower lumens, but be sure to buy one made for running or hiking. Less powerful headlamps or handheld lights may be great for checking the fuse box in the middle of the night when the power goes out, but not for running in the dark. Secondly, wear bright clothing and reflective clothing. It never ceases to amaze me when I'm driving at night and see runners wearing a black cap, black top, and black tights. The only things visible are the whites of their eyes and maybe a little reflectivity on their running shoes. White and/or bright clothing can greatly increase your visibility. Adding a light-weight reflective running vest is a simple and easy way to make yourself visible to other runners, bikers, and drivers. Back in 2010 I reviewed Saucony's ViZiPRO Epic Run Vest. This lightweight breathable vest was perfect for nighttime runs. My runners love when I wear it, cause they can tell where I'm at at all times. Recently, Saucony reached out to me to test out their new Sonic ViZiPRO HDX Jacket. The Sonic ViZiPRO HDX Jacket is similar to the Epic Run Vest in that it's made of the same breathable lightweight but durable fabric. It also has the highly reflective strips and piping. The Sonic HDX jacket, however, had upped the anti on increasing nighttime visibility by incorporating USB_LED piping on the front and across the back of the jacket. This addition is pretty cool. The USB_LED lights hold about a 2-hour charge. You simple plug the USB connection (which is in one of the jacket pockets) into your computer's USB port for recharging. The USB charging unit can be removed prior washing without having to remove the LED lights. Not only is the jacket great for it's enhanced visibility, it's also provides protection from the wind and is water -resistant while at the same time the unique microfiber fabric is breathable so you won't over heat or sweat to death. While the jacket is priced at the upper end of most running windbreakers, the jacket's durability, breathability, and increased nighttime visibility is well worth the expense. Stay tuned!!! I'm so impressed with this jacket that in the next week, I'll be doing a giveaway of the Sonic ViZiPRO HDX Jacket! Stay tuned for details on how to enter!! 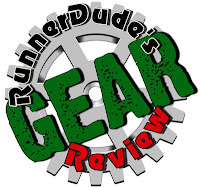 Note: While Saucony did provide the Sonic ViZiPRO HDX Jacket for review, I was in no way encouraged to write a positive review nor did I receive any form of payment for writing this review. This review is based entirely on my personal experience using the product. not only night running, but DUSK and TWILIGHT running. You, the runner, might be able to see the ground well, but drivers still cannot see you!!! I don't even know why they sell black running gear. It's never a good idea. Even if it's noon, it's probably too hot to be wearing all black! You are so right. I'm always preaching to my kids to make sure the lights on their bikes are on, and then I realized: as a runner I don't have a light! So I started decking myself out with lights like a christmas tree, and now everyone can see me coming. check me out. new blogger writing about new fatherhood and the balance of training and fatherhood.